How could such a small piece of land controlled by formidable forces and hemmed in by the Mediterranean Sea on one side become the source of grief and fear for so many people? Gaza Strip is just 25 miles long and 4 to 7.5 miles wide. It is a small strip of land in Israel named after its main city, Gaza. Its history, however, is full of bloodshed. It is currently controlled by Hamas, an organization that took over the de facto government in the Gaza Strip from the Palestinian Authority. It violently removed the Palestinian Authority’s security forces and civil servants from the Gaza Strip in 2007. 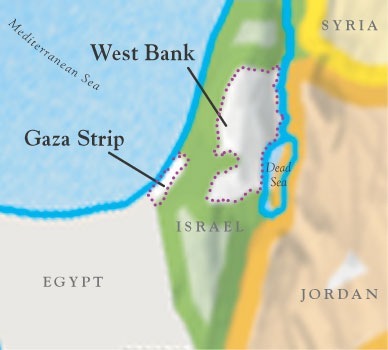 The Gaza Strip as it is known today was the product of the Armistice Agreements between Egypt and Israel in 1949. The agreements included the recognition of the border, referred to as the Green Line, between Egypt and Gaza. Except for four months of Israeli occupation during the 1956 Suez Crisis, Egypt occupied the Strip from 1949 until 1967. All through their occupation, Egypt never annexed the Gaza Strip. Instead, Egypt treated the Gaza Strip as a territory and assigned a military governor to administer it. Although the population was largely Egyptian before Israel occupied Gaza, the fighting between the Arab and Jew forces forced many Palestines to flee Israel and settle in Gaza Strip. The Palestinians living inside the Gaza Strip were issued All-Palestine passports. This ended in 1959, when the President of Egypt, Gamal Abdul Nasser ended the All-Palestine government by decree. The 1979 Israel-Egypt Peace Treaty settled the international border between the Gaza Strip and Egypt. Egypt renounced all territorial claims to the region beyond the international border. However, Gaza Strip’s final status and other relations between Israel and Palestinians were not dealt with in the treaty. The Gaza Strip and the Sinai Peninsula were occupied by Israeli troops during the November 1956 Sinai campaign. Because of international pressure, the Israeli troops were forced to withdraw, but they occupied the Strip again in June 1967, after the Six-Day War. During the occupation, the Israelis built 21 settlements in the Strip, which occupied 20% of the territory. They were built for ideological and security reasons. Until 1994, the Gaza Strip remained under Israel’s military occupation, which was responsible for the maintenance of civil facilities and services. After the treaty with Egypt, Israel entered into an agreement with the Palestinian Authority. This was known as the Oslo Accords, which transferred governmental authority to the Palestinian Authority in phases. Except for the settlements and the military areas, much of the Gaza Strip came under Palestinian control. The governance of the Palestinian Authority under Arafat suffered from serious mismanagement and corruption. Protest, civil unrest, and bombings plagued the area. Palestinian guerillas bombard the Israeli border with rebellious activities in the Second Intifada of September 2000. In 2005, the Israeli government implemented a disengagement plan from the Gaza Strip. Under the plan, all Israeli settlements in the Gaza Strip and in the West Bank, including the Israeli-Palestinian Erez Industrial Zone, were dismantled. On 12 September 2005 the Israeli cabinet formally declared an end to Israeli military rule in the Gaza Strip.